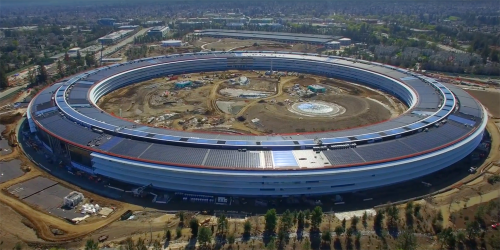 Matthew Roberts has shared another drone footage of Apple Park — future Apple Inc. headquarters. It is planned to plant nearly 9,000 trees so that 80% of the territory would be covered with green space. 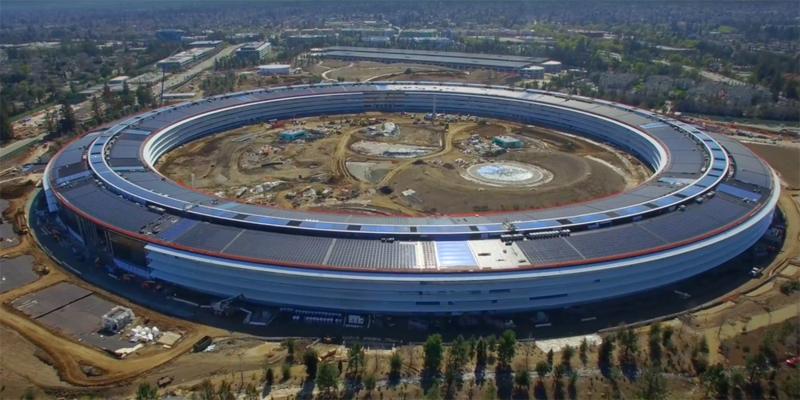 Steve Jobs wanted this headquarter to look more like nature refuge, not an office. He believed this will be “the best office building in the world and architecture students will come here to see it”. As Apple always cares about nature, the more and more trees appear and we can see the solar panels around the perimeter of the building that will provide power for it. The look of all this is really stunning. Enjoy watching.